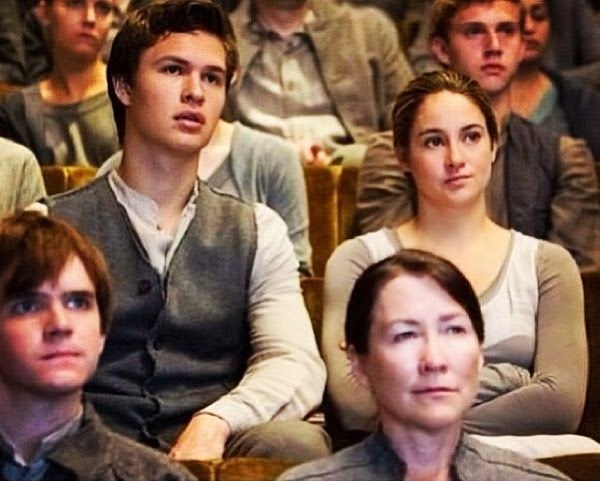 I don't care what actor Ansel Elgort says, the fact that he plays Shailene's brother in Divergent and then her lover in The Fault in Our Stars is weird to me. I mean, the movies come to theaters less than three months from each other! Of course he doesn't think it is weird... he has to say that! He just landed two major movie roles (and to be fair, so did she) so why would he bite the hand that feeds him? This, to me, is like Robert Pattinson and Kristen Stewart or Ryan Gosling and Rachel McAdams all of the sudden playing brother and sister. I think that, with time, it may have been OK... but the shows are released too close to each other to have this happen, in my opinion. I've already seen and am committed to the Divergent series, so I don't know if I will be seeing The Fault in Our Stars anytime soon for that reason. Having seen A Walk to Remember may be enough for me as I gather it is near the same premise. I may pick it up if I need a good cry though!